I was recently asked by a follower of my website why it has been so long since I have posted. Good question! In the world of stair racing there is an offseason, the summertime. Most of the American Lung fundraiser races are from January to April. The fall races start in September at the Los Angeles US Bank stair race through November at the Willis tower in Chicago. 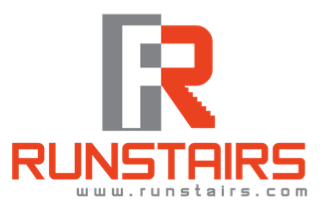 For the US stair climbing association the year starts in September for points calculating purposes and goes until August of the following year. If I ever wanted to really compete nationally and gain as many points as I can in a year, I would start in September and do as many races as I can. Maybe after I am done with my 50 states I can take a year to get as high in the rankings as possible......hhmmmmm. If you think about summertime why in the world would you want to be racing and training in a stuffy stairwell when you can be outside hiking, running or golfing? This summer I decided I need a new way to train when I am at home. The suburbs of Utah are not known for their towering skyscrapers. 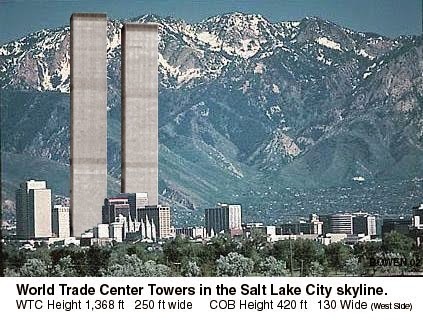 Thanks to my dad for sending me this rendering of what the former World Trade Towers would look like in Utah. I was looking online one day and found some commercial stair masters like they have in the gym. There was a very old used one for $1,700 that wasn’t far from my house. I tried to talk them down to $1,000 and they wouldn’t go that low. Next one that came online was listed in Elko Nevada which is a 4 hour drive from my home. 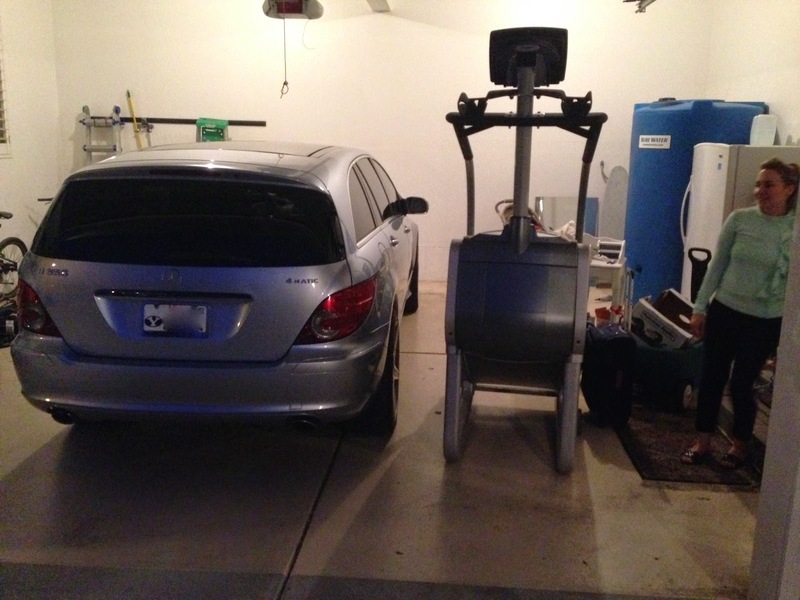 It is a Stairmaster Stepmill SM5 only 1 year old they these people purchased for $6,500….way out of my price range! They listed it for $4,500. I offered them $1,700 via email and asked them to contact me if they are interested in going that low. A few weeks later I received a counter offer of $3,000, still out of my price range. My wife is patient and accepting of a crazy hobby but that is asking too much of her. I countered saying $2,000 is the highest I would be willing to go. A few weeks later they countered with $2,500 and I again told them I would be willing to come pick it up for $2,000 but that was it. 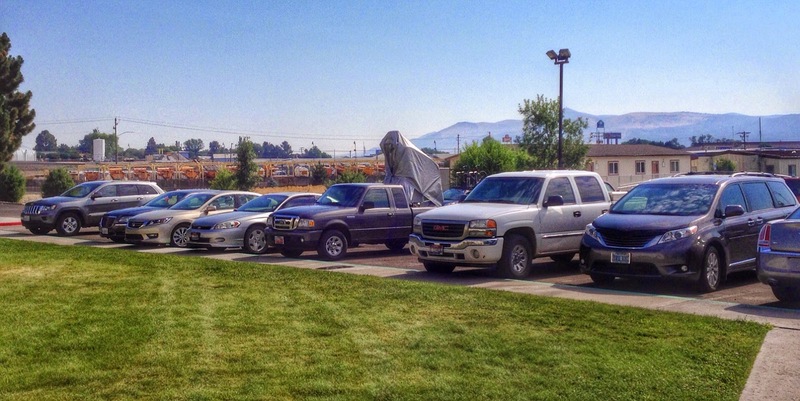 The good thing is I actually had a once every three year meeting in Elko Nevada and it was coming up in two weeks. I was really hoping if I stayed patient they would accept the $2,000 and I could come pick it up while I was there for the conference. I knew I had an upper hand considering who buys actual stair masters for their home? Also who would drive all the way to the small mining town of Elko Nevada to buy one? I just realized reading through these two questions that pretty much I am the ONLY person willing to do this! After a week they responded that they would do the $2,000 if I could come pick it up. I did it! Feeling pretty good about my negotiating skills. The guy in the red hat is the one I bought the stair master from in Elko. This little ramp made it very easy to place in the truck. 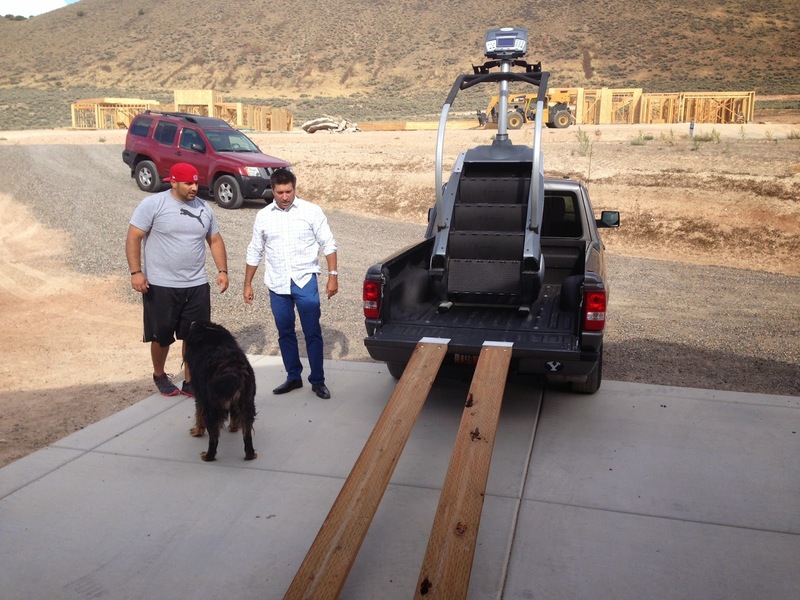 I drove my father’s Ford Ranger out to Elko and picked up the Stairmaster from the peoples home. It was much taller than I anticipated! I had some bungees and at tarp but it was clear that wasn’t going to be enough to hold it down properly. After covering it with the tarp and a bunch of heavy duty tie downs I was ready to hit the road. A bunch of people at the work conference I was at thought I had a missile launcher or a mechanical bull on the back of my truck. 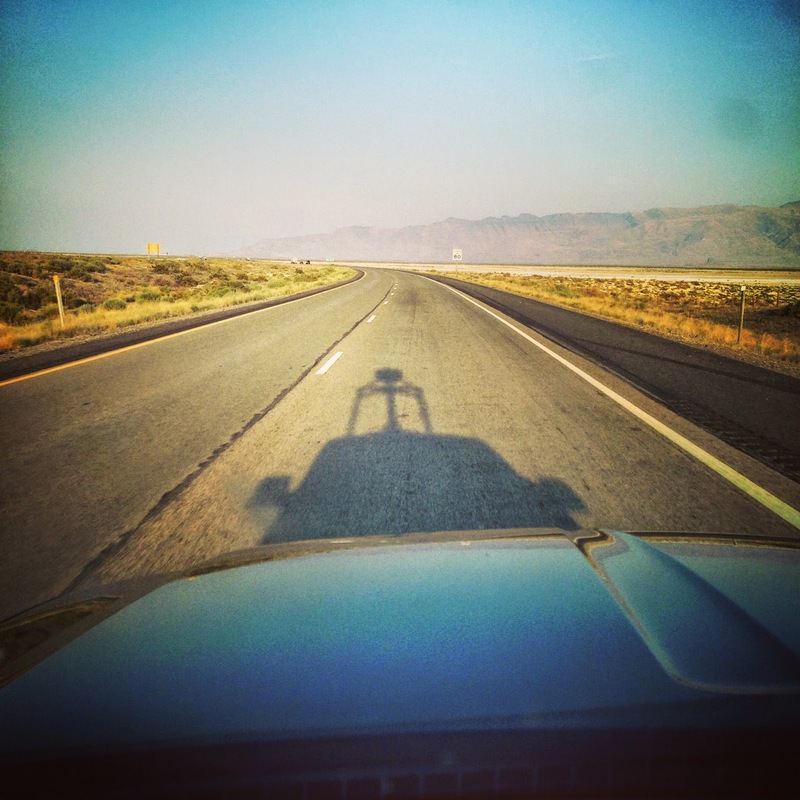 The drive back was…….stressful! I could see the reflection of the truck and stairmaster in the road in front of me and it was huge! The wind blew the tarp so hard that eventually some of the bungees snapped and the tarp ripped. 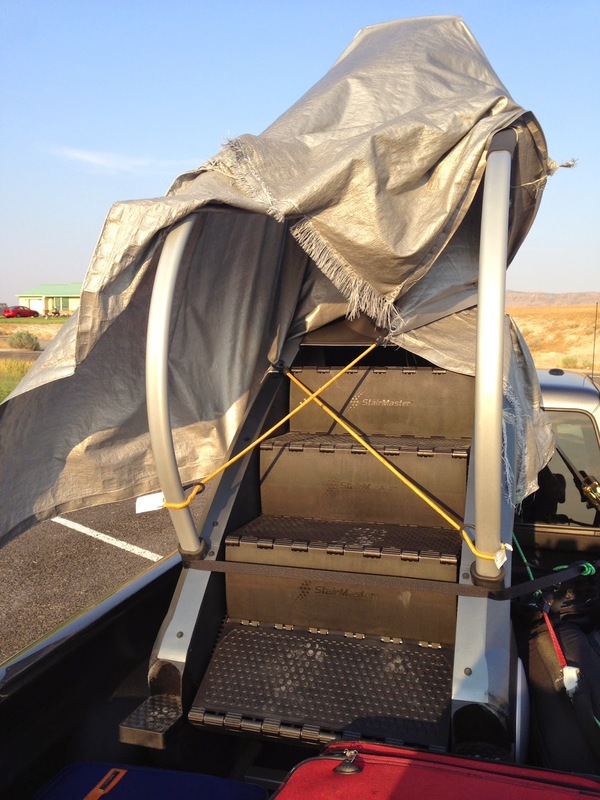 Halfway into the drive I took off the tarp and hoped the Stairmaster was built strong enough to withstand the winds. After 5 long hours I made it home. The Stairmaster is now proudly in my garage and I use it at least 3 times a week when I am in town. My wife has even used it a few times and it has given her a good workout. I am about ready to start my 8 year old son with training on it. My wife admiring it before we put it in the corner of the garage. A Stairmaster is not as difficult as running actual stairs in a building but it can still burn calories quickly and prepare me for stair races better than running outside. This fall I am travelling quite a bit for work so I will post some of the stair runs I am able to complete. 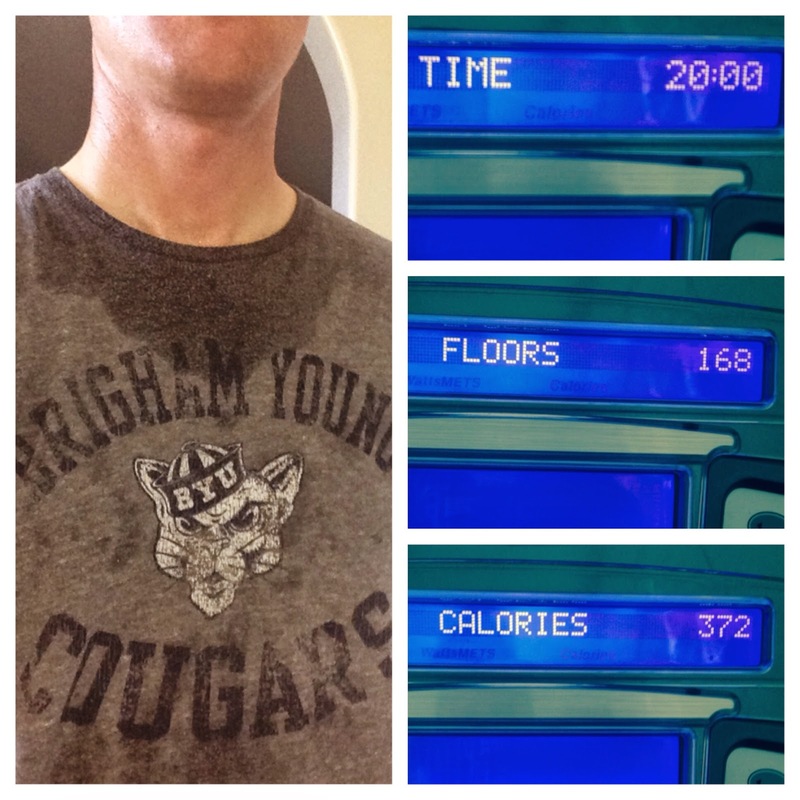 The number of floors may be inflated but it is a great quick workout!